Is your company involved in event marketing? 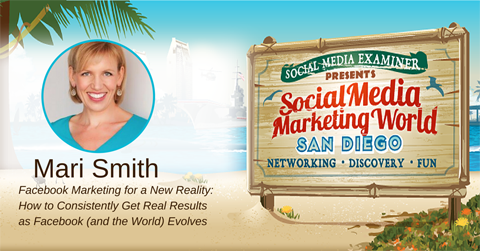 Are you curious about how you can use social media to promote those events? 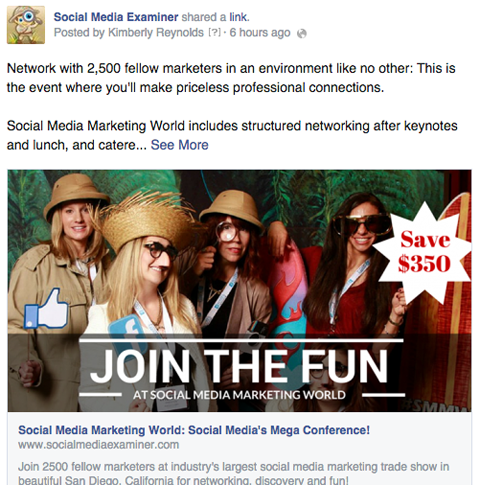 Social media is a powerful tool for event marketing, whether you’re event is online or off. In this article I’ll show you 13 innovative ways to increase awareness, engagement and revenue for your event. 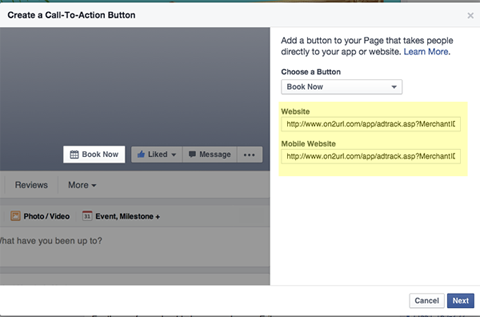 Facebook custom audiences allow you to show ads to people who have already visited your website. This is called remarketing (also known as retargeting). 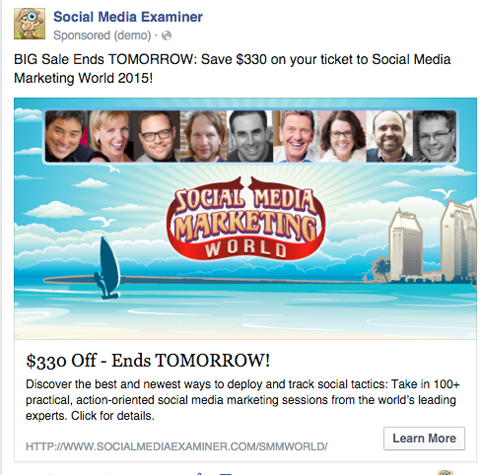 Advertisers can show event ads to Facebook users who left the website before purchasing a ticket. Remarketing can be a very effective strategy because people rarely buy the first time they hear of an event or see an offer. This is especially true for big-ticket items like conferences and conventions. If your event features well-known experts, include their likeness on your advertising assets. Pro Tip: When you advertise to prior website visitors, be sure to EXCLUDE Facebook users who have already purchased a ticket. This can easily be accomplished by creating a custom audience from the same page you used to track conversions; i.e., your thank-you page. Facebook allows you to include and exclude multiple audiences for each ad set. Video provides a unique opportunity to convey the energy and excitement of a live event. Great visuals and catchy audio are a potent combination that drives registration. It also creates engagement opportunities as the video is shared with friends. Create a video that conveys the excitement and fun of your event. Remember your intended audience. Your video should convey the value of your event to prospective attendees. Make the benefits of attending crystal-clear. Host on both YouTube and Vimeo. Each platform has different strengths, so take advantage of that. YouTube is the #2 search engine in the world and the most used video platform on the Internet. Vimeo, though smaller, offers more control over your brand and no distracting banner advertisements. Leverage it everywhere. Video can be shared almost everywhere: your website and/or event landing page, in your newsletter, in articles, with affiliates and on social media, including 15-second clips on Instagram. Facebook loves video. Uploading native video maximizes your exposure in the news feed. 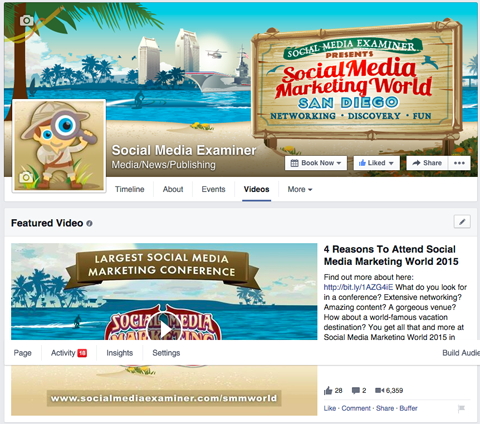 In fact, Socialbakers reported that “Facebook videos achieved a 10 times higher viral reach than YouTube links did.” You can also set your video as Featured for maximum visibility on your Facebook page. Remember to include a registration link in the description of your video, preferably near the top. Do you have great comments in the exit surveys from previous events? Maybe you’ve interviewed attendees or speakers and captured statements of excitement about specific sessions, speakers or your event in general. Don’t let those nuggets go to waste! Create a template with branded images and a consistent color palette to help unify your marketing efforts and make it easy to share testimonial quotes. Create simple graphic images with these quotes and comments. Share these visuals in your email marketing campaign, social platforms, blog posts and email signatures. Be sure to give attribution to the commenter. People love to see their comments used and they often share this type of graphic. Also, having these third-party statements lends credibility because they provide positive word of mouth about your speakers, sessions and event. 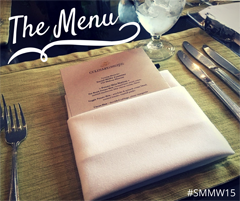 Make it easy to share your event. Provide a web page with branded downloadable resources that fit any platform. 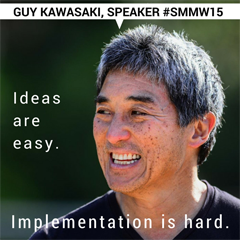 For attendees: Capitalize on their excitement! Provide a button to immediately share a tweet or post when they land on your thank-you page after registering. Tip: ClickToTweet makes it super-easy to create a simple, pre-crafted tweet. For affiliates/fans: Make it easy for them to share your event by providing a variety of downloadable content: audio, video, an article, graphics, updates (Twitter/Facebook/LinkedIn/Instagram), email/blog posts and blurbs/newsletter updates. Provide options to accommodate different posting styles as well as the image requirements of the various social networks. For example, rectangular images work best on Twitter, while square images look best on Instagram. Rich media assets like audio clips and short videos ensure there is something for everyone to share. If you have a repeat event, leverage those fun photos you took at previous events. Even better, share user-generated content on your social accounts. Take a flattering, fun picture of some of your attendees and create a status update. Identify the people in the picture and be sure to tag them if you can. This gives people an opportunity to comment and talk about how much they learned or what a great time they had and how much they’re looking forward to attending again. Have a photo booth at your event to capture fun photos of attendees to use in marketing future events. 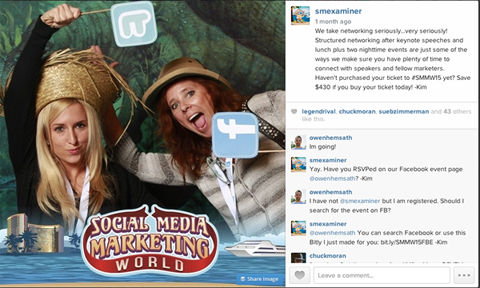 Photos of attendees look great in posts and they also make for creative ads! This tip may seem like a no-brainer, but you would be surprised how many events skip this vital step. Create, use and market your event-specific hashtag. You should be using this hashtag well in advance of your event dates and it should be included on EVERYTHING. Every digital image you create, every piece of collateral, your email signature… Anywhere you can think of—share it! 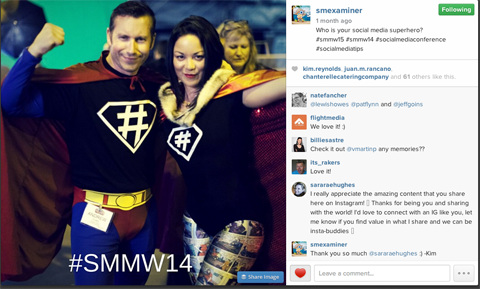 These super attendees remembered their hashtags—don’t forget to add yours! By using an event-specific hashtag, you’ll make it really easy for people to find not only what you’re sharing, but what other people are saying, too! Now that you’ve created your hashtag, don’t forget to add it to the Bio (About) section of each of your social accounts. An event hashtag in the Bio section is an often-underused tactic, but it has the potential for big gains. Once you have a link to your event, update your Bio section, and then people have a very simple way to find out more. They just need to click the link! Not only does this create an easy way for people to see the event, it also ties that event directly to YOU. Ultimately, people connect to people and this is one way to give authenticity and transparency to you personally, not just the event. Bitly links in your bio are a great way to track the effectiveness of your event marketing on Instagram (shown here) and other social media sites. While a headshot of a speaker might excite some people, it’s important to share something worthwhile from that speaker as well. Take one powerful statement from each of your speakers and add that to a graphic containing a headshot of the speaker. This gives people something to tie to that speaker, a glimpse into his or her personality or presentation. Make sure the images are compelling and enticing enough to share. A LOT of work goes into pulling off a fantastic event. Give a glimpse into this exciting and sometimes chaotic experience by sharing images and videos of the preparations going on. Share stories of how you’re pulling everything together and don’t forget, mistakes and challenges happen. Be authentic and share the challenges you face and what steps you took to resolve them. 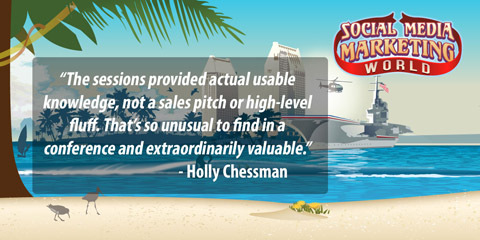 It humanizes your brand and makes you more relatable. Share important steps in the planning process—like this tasting at the caterer—to build excitement about your upcoming event. 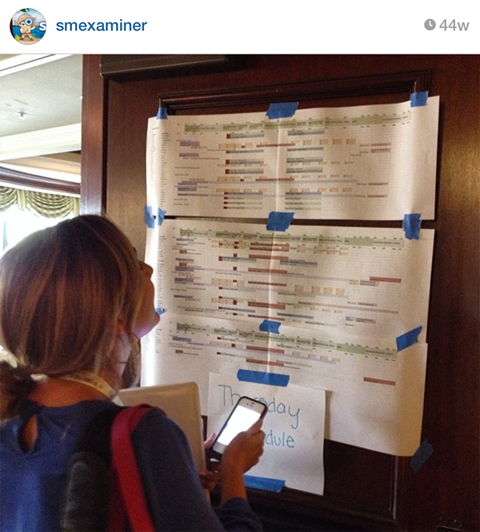 Convey the scope and attention to detail of your event at a glance with behind-the-scenes visuals like this photo of the staffing schedule. Most people log into Facebook at least once a day. Make it easy for them to keep up with event news by creating an event page listing. Your event page is also a great place to encourage networking before the event. The convenience of an event page also encourages sharing by attendees. To help make your event a success, Facebook has added new tools such as targeted news feed ads and event insights to measure the effectiveness of your efforts. As the big day approaches, don’t forget to send out reminders to encourage people to RSVP on your event page. 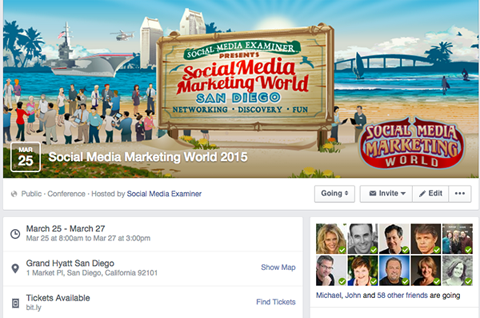 Check your Facebook event page regularly to answer questions, share tips and delete spam. Make it fun and simple for your speakers to promote their presentation at your event. Be sure to use a great photo of the speaker and keep the image consistent with the branding for your event. Since different social media platforms use various sizes of images depending on the type of post, take the time to create graphics in a multitude of sizes. 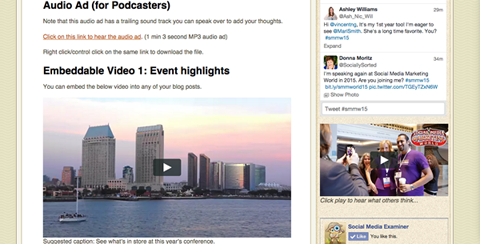 This makes it convenient for your speakers to optimize the images on whatever social network they use. 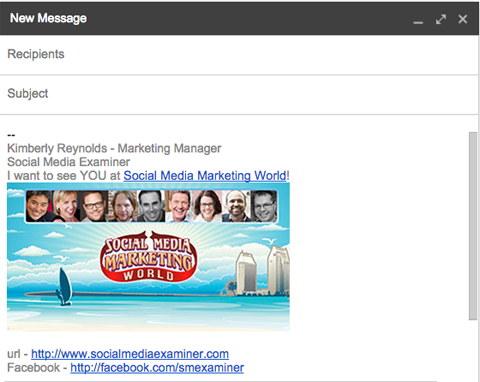 Encourage your speakers to share, share, share the graphics on their social platforms, blogs, email signatures and more. 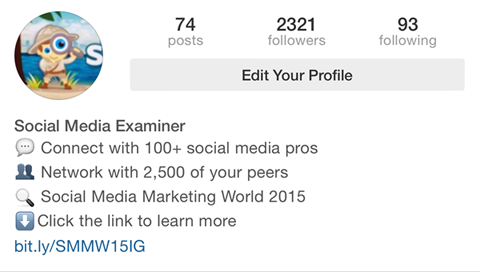 Square graphics work well on Instagram, Facebook and Google+. Rectangular graphics look awesome in tweets and they can also be used as Facebook Open Graphic images. You’ve already (hopefully) updated your cover photo to showcase your event, so why not take it a step further by adding a Call-to-Action (CTA) button? Facebook recently rolled out its new CTA button for pages, said to “bring a business’s most important objective to the forefront of its Facebook presence.” What could be more important than generating event revenue for your business? Different call-to-action options provide a variety of choices to draw attention to your particular event. You can also specify different destination URLs for desktop versus mobile traffic. Have you considered how many emails you send and receive on any given day? Each one of those is an opportunity to spread awareness for your event. Simply add a hyperlink and/or graphic to your signature line. An eye-catching graphic in your email signature is a non-invasive way to spread awareness. 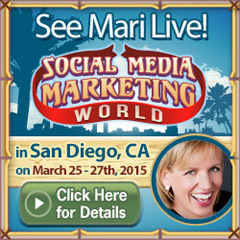 These are just some of the tactics we have implemented to promote Social Media Marketing World. It’s important to try a variety of tactics and see what resonates with your audience. If something works, remember to document it in your marketing plan to use again. How about you? Have you tried any of these tactics? Have you seen any other creative ways to promote an event? Please share your thoughts in the comments below.